Based on a recipe by Martha Stewart, I upped the spice a smidge and topped it with a luscious cream cheese frosting. With only 3 ingredients, the icing is fool-proof and pairs perfectly with the cake. The smell of this cake is amazing and takes me back to elementary school. The pumpkin muffins that the kindergarteners were making one day filled the halls and that amazing smell is one that’s hard to forget. 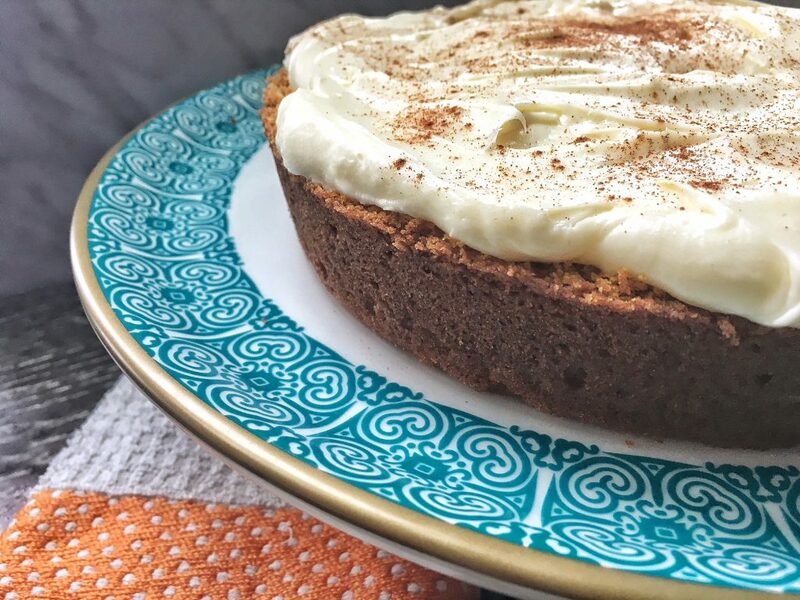 With pumpkin, cinnamon and warm spices, this cake just screams Fall. It’s a great addition to Thanksgiving dinner. It’s also perfect for those days when you’re stuck inside, trying to forget about the blanket of snow outside. Love pumpkin? Here are a couple more recipes to get your fill. Beat the sugar and butter until fluffy. Add the eggs until well combined. Add the pumpkin and meat until everything is incorporated. In a separate bowl, combine all the dry ingredients. Add this to the butter mixture and beat until combined. Pour batter into a round cake pan and bake at 350 degrees for 50-60 minutes. Let cool before topping with icing.